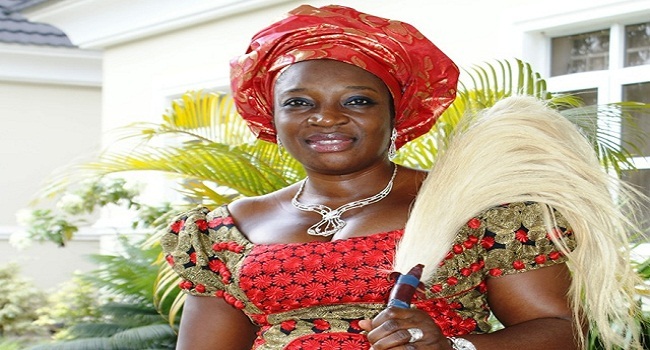 Senator Uche Ekwunife, representing Anambra Central Senatorial zone, has been declared winner of the March 28 Senatorial Election by the National Assembly Election Petition Tribunal sitting in Awka, Anambra State. Justice Naiyi Aganaba, who read the over 2-hour judgment held that the petitioners, Victor Umeh of the All Progressives Grand Alliance (APGA) and APGA failed to establish their case which they hinged on alleged mutilations and incorrect figures from which INEC declared Senator Ekwunife winner of the senatorial election. The court also struck out the relief sought by Mr Umeh, urging the court to declare him winner on the grounds that he got the highest number of lawful votes cast. Concluding the judgment, Justice Aganaba ruled that the petitioners failed to prove their case beyond reasonable doubt as to have the election nullified and insisted that it lacked merit. Senator Uche Ekwunife, reacting to her victory, commended the judiciary for restoring hope, once again, to the common man and said that the judgment was a reflection of the wishes of the people. Earlier, the tribunal had nullified the result of the PDP candidate for Anaocha/Dunukofia/Njikoka Federal Constituency, Prince Emeka Eze and declared the APGA candidate, Mr Dozie Nwankwo, winner of the House of Representatives election.